Excited about this coupon since both my kiddos need this. 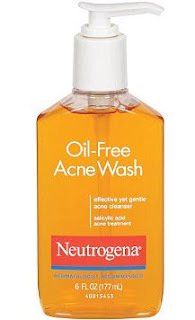 Print this SAVE $3.00 on any one (1) NEUTROGENA® Acne product (excludes bar soaps, travel sizes, and clearance products) and then here's how you can use it. PRINT NOW! 🖨or REBATE NOW with Ibotta! Super easy way to earn money back. If you love the site, PLEASE help us grow and keep going - share with a friend or two. With the changes on FB make sure to like, share or leave a comment.